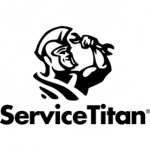 ServiceTitan is a field management software that provides services for the HVAC, plumbing, electrical, and garage doors industries. They offer office software products for dispatching, scheduling, call booking, marketing, reporting, and more. In this article, we cover user reviews and pricing. Ready to get started with ServiceTitan? Request a demo. Users who gave ServiceTitan a positive review stated that its software and mobile app are extremely easy to use and has a modern design. They also appreciate how it helps them to manage their employees and track their productivity. They added that the technical support team is very fast and responsive in resolving issues. One user who gave ServiceTitan a positive review on G2 Crowd likes that the program is continuously evolving to improve its functionalities and features. He also loves the reporting and customization options. He added that it is easy to train new employees on how to use the system because it is very user-friendly. Users who gave ServiceTitan a negative review said that the software is too expensive and its numerous features and capabilities can be very overwhelming. Some users also stated that there is a frequent downtime at nights when ServiceTitan do updates and that they also sometimes experience glitches in the system. One user who gave ServiceTitan a negative review on Software Advice said that the updates being made periodically causes the software to malfunction, which is very frustrating for their employees and technicians. He added that while having updates are great, the downtime and glitches make things difficult for them. ServiceTitan pricing is not readily available on its website. Pricing for similar providers has monthly fees that cost around $22 to $79/month with basic functionalities, while the more extensive ones cost around $99 to $399/month. Ready to get started with ServiceTitan? Request a demo. 6 Best Field Service Management Software for Sales— Field service management software helps businesses manage customer work orders and streamlines the process of assigning technicians, equipment, and inventory to customer projects. In this guide, we look at dozens of providers and narrow the list down to the six best options for small businesses based on pricing, usability, and integrations, arriving at the best overall. Can an office staff communicate with technicians in the field using ServiceTitan? Yes. With ServiceTitan Dispatch Board, dispatchers can have direct communication with technicians through phone, email, and SMS. Does ServiceTitan offer functionality for recording the calls received by their customer service representatives? Yes. It can record every incoming call using the ServiceTitan Call Recording feature. With this function, business owners can review what a customer said over the phone and how their representative responded. 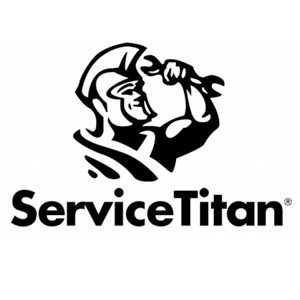 Not sure if ServiceTitan is the right fit for you? Read our reviews of all top field service management software providers or check out one of these three ServiceTitan competitors.